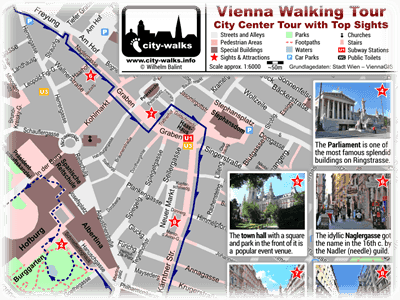 The city center is a perfect place for a walk and the easiest way is to simply following the route from the free city-walks Vienna walking tour maps. 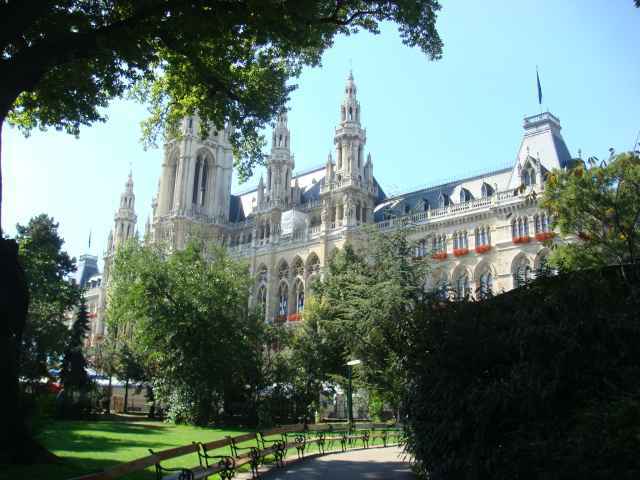 Many historic buildings and monuments offer an impressive contrast to the few new buildings in the old town of Vienna. There are a lot of places where you can find some magnificent buildings with marvelous facades. The important position of the town in the history of Europe is quite sure the origin of the numerous impressing monuments in the city center. At a stroll you are not only able to admire the buildings but also to enjoy the well cultivated parks. This route through the city center leads you to the most important sights in the old town which are also marked at the free tour map. The are some romantic alleys and also a big pedestrian zone on this recommended tour what is perfect for all who like to explore the city by a stroll. But also beautiful parks with wonderful green spaces invite you for a relaxing stay during your walk. 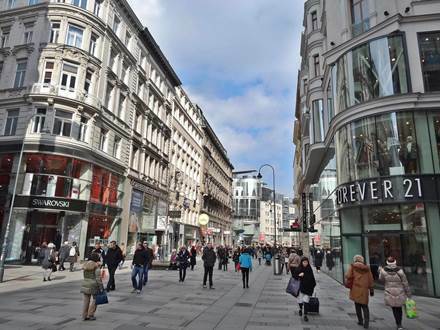 If you also like to spend some time with shopping, even this is possible as this route leads as well through the Graben and the Kärnter Strasse where you find a lot of different shops. The route for the tour starts at the town hall and leads you across the inner city until the Prater. During the walk you will pass different stations which have a connection to the two Austrian Song Contest winners Conchita Wurst and Udo Jürgens. Perfect suitable for those who like to stroll through the city and discover some of the favorite places of the Song Contest stars. Fans have even the opportunity to make a Selfie with the "stars" at the end of the route.